Nurses looking for jobs could do worse than spend more time on their smartphones, because employers are increasingly using social media to recruit staff. Due to shortages of nurses in many areas of the country and an eagerness to cut the amount of money spent on agency staff, employers are reaching out to potential staff in new ways. The George Eliot Hospital in Nuneaton, Warwickshire, is using a campaign on Facebook, Twitter and YouTube to recruit nurses in all specialties. As part of the campaign, front line staff are being encouraged to use the trust’s Twitter account to share experiences of their day, using the hashtag #JoinTeamEliot. In addition, a series of short video interviews will be produced. Matron Sally Wilson says nurses can hold Twitter chats on subjects such as falls prevention to share knowledge, and highlight the trust’s standards of safety, care and continued professional development, with potential recruits. The trust recently used Twitter and Facebook to promote a theatre open day for potential new staff, and paid £25 to ensure the promotion appeared more frequently in the newsfeeds of 4,000 Facebook users. A local newspaper then published an article on the event and more than 100 people attended the open day. 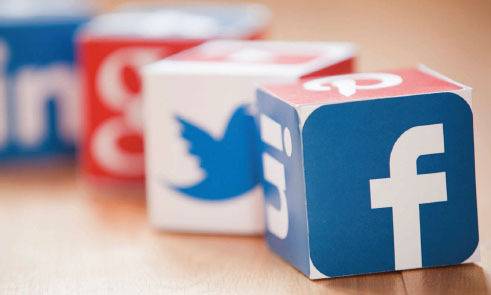 ‘Nurses are increasingly using social media to connect with each other, and it is a good opportunity for us to connect with them,’ says Ms Wilson. Social media offers healthcare organisations opportunities to contact the millions of people who use it daily. Last April, according to Ofcom, Facebook had 41 million unique visitors in the UK and Twitter almost 22 million. LinkedIn was close behind at 21 million. Meanwhile, three quarters of adults have social media profiles. NHS Employers says social media can be a valuable addition to recruitment processes because it allows employers to reveal the character of their organisations and promote what they can offer employees. This is demonstrated by George Eliot Hospital, which initiates Twitter chats on safety and quality of care. Employers need to show that their organisations are good places to work if they are to attract the best-quality candidates. While pay, terms and conditions are important factors for applicants, the working environment, workplace culture and colleagues are vital too. One example of how a trust can promote itself on social media is to ask nurses to write blogs about what they like most about their jobs. These blogs can be published on the trust’s website and then promoted on social media platforms under headings such as: ‘Want to know what it’s like to work here as a paediatric nurse? Check out Jill’s blog post’. Employers find social media to be a more proactive way to recruit staff than the traditional, passive way of placing job advertisements. For the past year, Cambridge University Hospitals NHS Foundation Trust deputy recruitment manager Hannah Pont has been using social media, particularly the professional networking site LinkedIn, to recruit to a range of posts at the trust. She uses LinkedIn to send messages to suitably qualified people when recruiting for posts, including specialist nurse posts, that are difficult to fill. She tells potential employees that the trust had seen their profiles and would like to chat with them about the opportunities available. ‘It is just a little fish hook to see if they are interested in coming to speak to us,’ she says. The trust has reduced its use of LinkedIn due to financial constrictions, but it continues to advertise its jobs on the site and shares them with all 5,500 members of its Facebook page. Ms Pont says that use of social media must be sustained over the long term to recruit staff. ‘It is about subliminal messages. These jobs and news items about the trust are appearing in people’s feeds, and while they may not want a new job now, you never know what seeds are being planted for the future. ‘We are building a presence to encourage people to think about coming to work here’.